Come late Summer, all roads for Minnesotans lead to the State Fair. 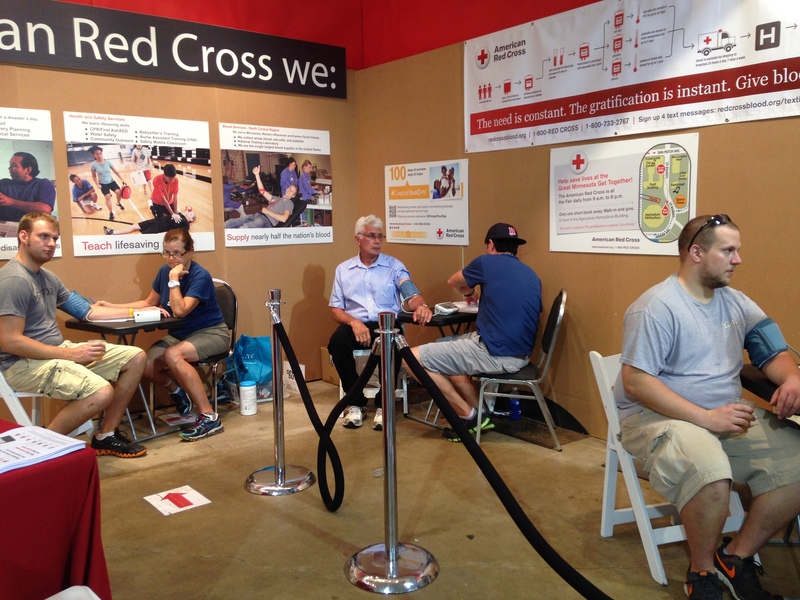 Red Cross is continuing its decade-long blood drive tradition at the Minnesota State Fair. The goal is to collect 100 units of blood every day of the 12-day event. One unit of blood can potentially save three people’s lives. Many fair-goers now notice for the stand-out bloodmobile for what has now become for some an “annual State Fair family blood donation tradition,” says Sue Thesenga, Communications Manager for the American Red Cross North Central Blood Services, covering a region with all of Minnesota and parts of Iowa, South Dakota and Wisconsin. 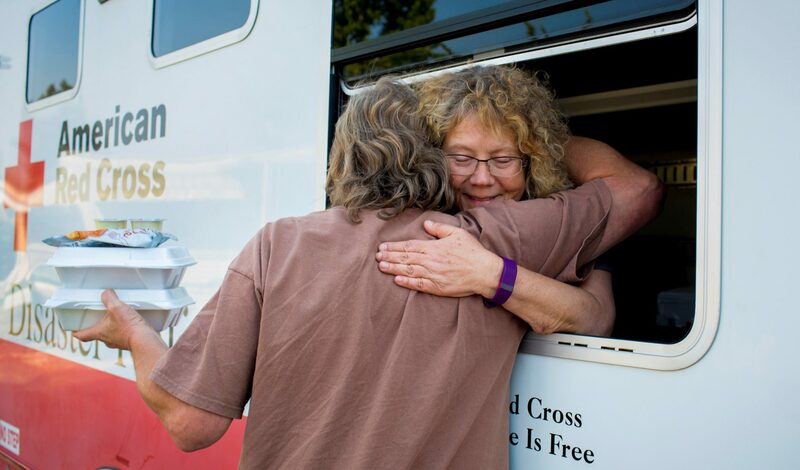 Each such blood donation is coupled with a beautiful backstory says Sue, who recounts one such story of two friends who had never donated before decided to give together when they saw the Red Cross bloodmobile outside the Agriculture and Horticulture Building. Last year they were back to have their engagement photo taken next to the bloodmobile. Turns out, he was just her type! The couple has given blood together twice since that first State Fair date, including a donation the day after they were engaged. They say it’s a fun way to celebrate, says Sue. There are many similar stories of like one of a mother and daughter who have made it their annual fun activity together. There are some who have had perfect attendance, having not missed a single State Fair blood drive. It seems donating blood at the State Fair goes hand-in-hand with cookies, cheese-curds and corn-dogs. The Minnesota State Fair is your chance to hit the rides, grab some food and help save lives! Every day at the fair is a chance to give hope. By giving blood through the Red Cross, donors offer people who need blood a chance to create memories that will last a lifetime. As a thank you, all presenting donors will receive a special Red Cross gift. And to help increase donations over Labor Day weekend, all presenting blood donors from Sept. 5 through Sept. 7 will receive a Red Cross T-shirt, while supplies last! 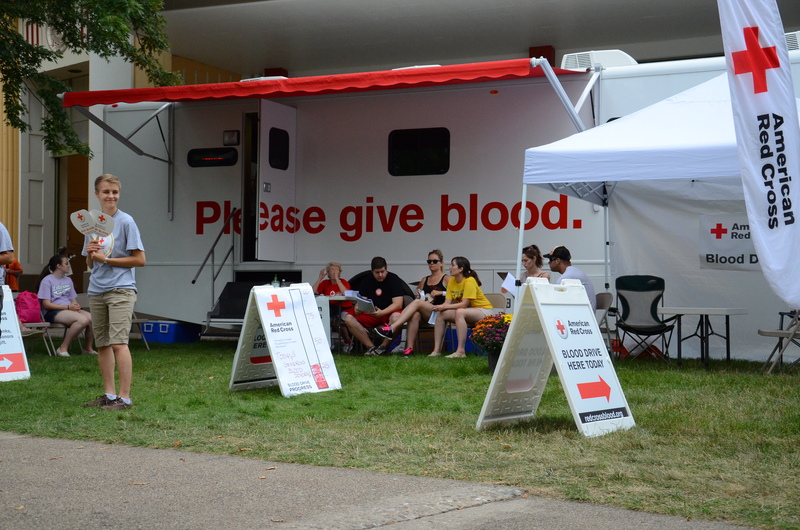 To make an appointment or for more information in advance of the fair, you can book your appointment via the Red Cross blood donation webpage (use sponsor code MN State Fair), the Red Cross Blood Donor App, or 1-800-RED CROSS (1-800-733-2767). 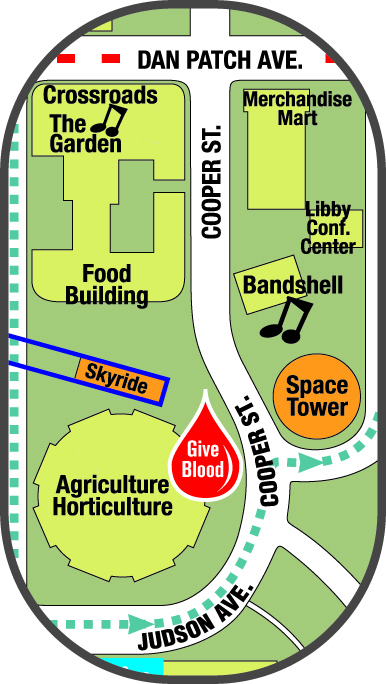 At the fair, you can find the Red Cross bloodmobile parked outside the agriculture and horticulture building, just west of the space tower. A blood donor card or driver’s license, or two other forms of identification are required at check-in. Individuals who are 17 years of age (16 with parental consent), weigh at least 110 pounds and are generally in good health may be able to donate blood. #ChooseYourDay to #RestocktheShelves and help save lives during the 2015 Great Minnesota Get Together! P.S. 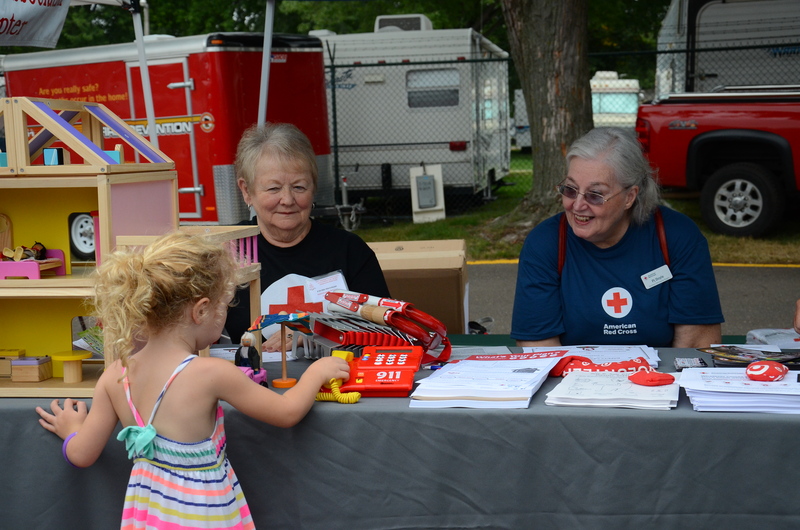 Look for more Red Cross activities at the Minnesota State Fair on August 29 during Governor’s Fire Prevention Day and on September 1 during Military Appreciation Day! More than 1.8 million people visited this year’s Minnesota State Fair. 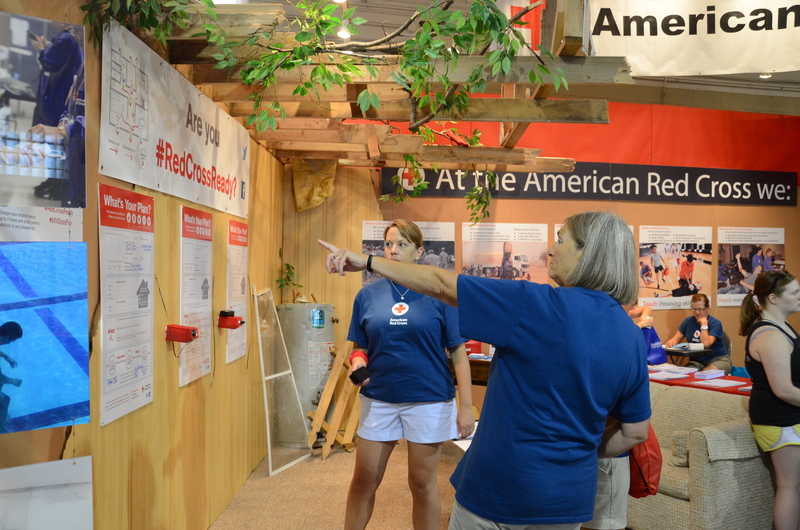 And in-between eating cheese curds and visiting the animal barns, some made their way to engage with the American Red Cross, making this year’s fair a great one for our region, too! Below are highlights from our participation this year. This outreach would have been absolutely 100 percent impossible without Red Cross volunteers. Thank you, thank you, thank you! We’ll see you next year at the Great Minnesota Get Together. Meanwhile, download this Make_a_Plan_Flyer and start working on your own disaster preparedness plan. During your visit to the 2013 Minnesota State Fair, take time to stop by our booth in the Health Fair 11 building on the corner of Dan Patch & Cooper, play our Disaster Draw Down game and get this cool “CAT-astrophe” magnet. MEEE-YOWWW! 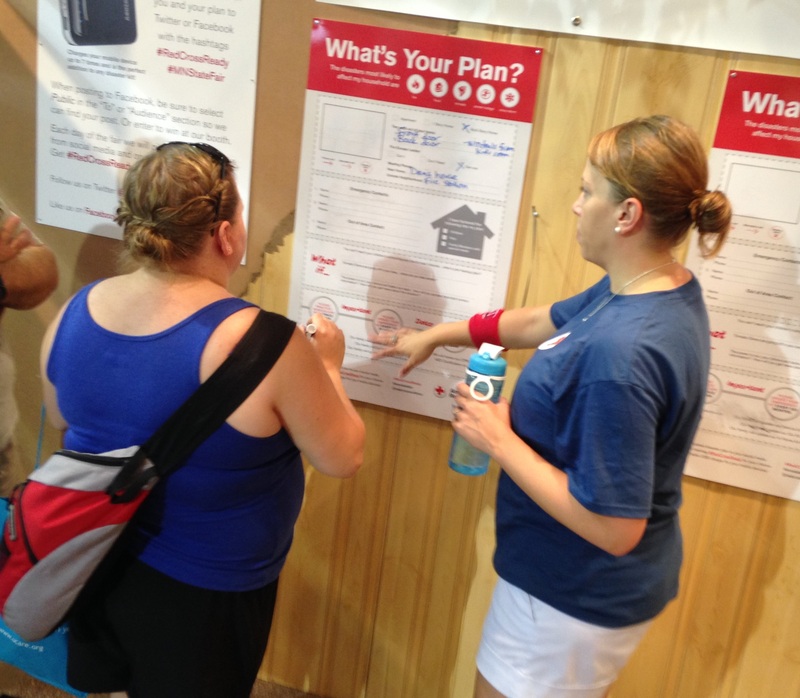 The American Red Cross is counting on Minnesota state fair-goers to prepare our community for emergencies by helping replenish summer blood supplies and learning how to build an emergency preparedness kit at the Red Cross booth in the Health Fair 11 building. Currently, all blood types are needed and the Red Cross is hoping to boost inventory before and during the Labor Day holiday weekend. 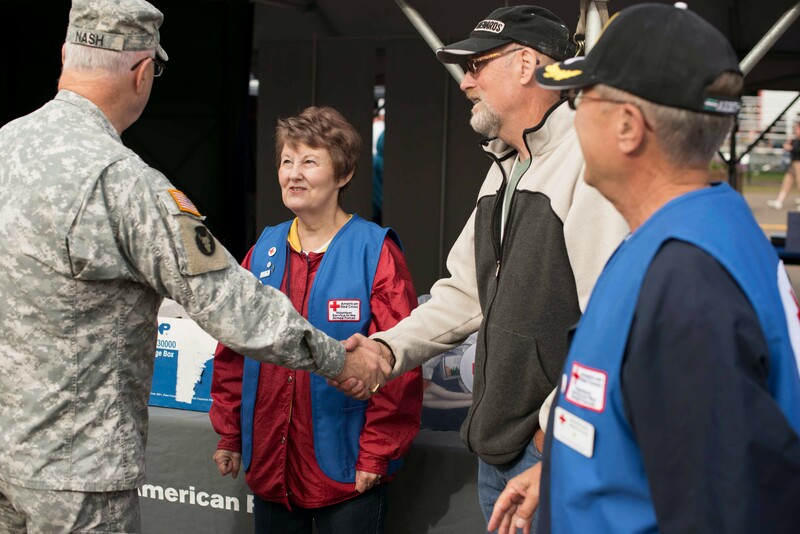 New this year, fair-goers can race against the clock during a “disaster,” grabbing necessities and then learning how to prepare before disaster strikes. Free blood pressure screenings will be available again this year. HOW: Call 1-800-RED CROSS (1-800-733-2767) or visit redcrossblood.org to make an appointment or for more information. Or, just stop by. Walk-ins are welcome. WHEN: Every day of the fair! 9:00 a.m. to 9:00 p.m.
See you soon! Woot! Woot! 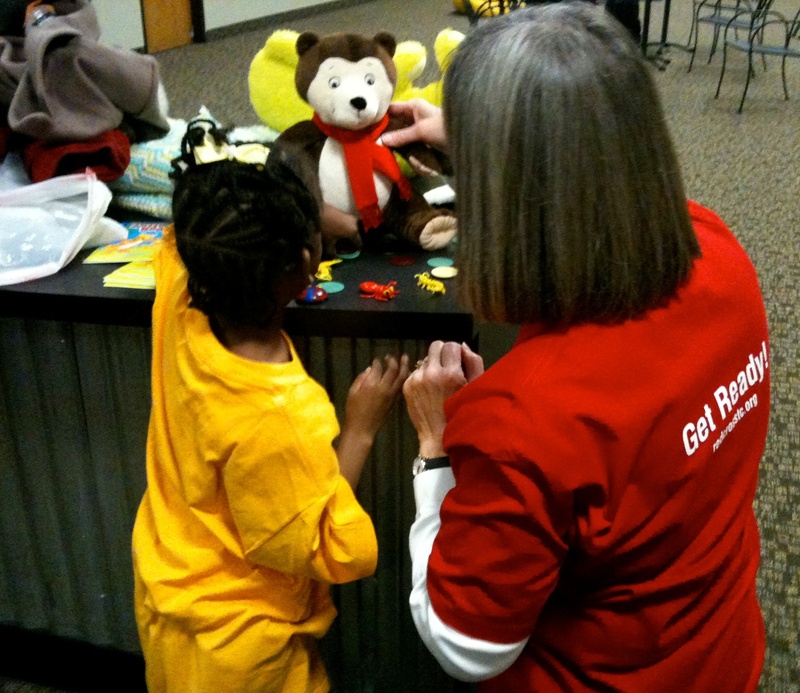 Red Cross volunteer Sharon Collin is a natural organizer. A former movie theater manager, accountant and school teacher, she’s at ease while directing the flow of traffic that comes through the North Commons Recreation Center where the Red Cross shelter is housed. 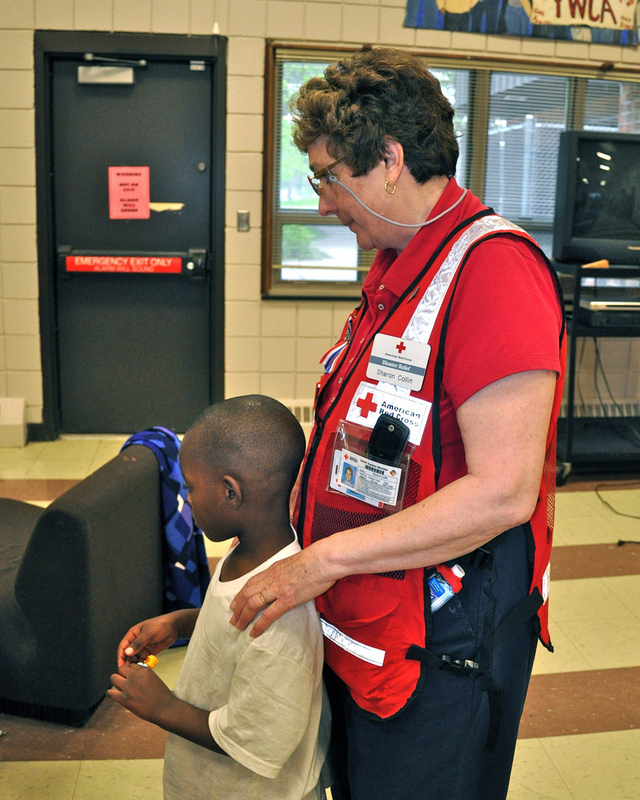 Sharon is the night manager at this Red Cross shelter where 43 residents are attempting to rebuild their lives after the May 22 tornado destroyed blocks of North Minneapolis. One week into working at this shelter and Sharon has her routine down. Nearly all at once, Sharon sends someone to the snack room, finds a caseworker for another shelter resident, and hugs three kids in between the two tasks, promising one that she’ll tuck her in later. While Sharon has responsibilities and organizational tasks to ensure that the shelter runs smoothly, she says she spends most of her time listening. Sharon travelled from Cumberland Foreside, Maine, to be the shelter night manager. She’s volunteered for the Red Cross in various ways for the past 6 years: working on disaster teams, supporting call centers and filling in any way she can, but her favorite assignment is working at shelters. 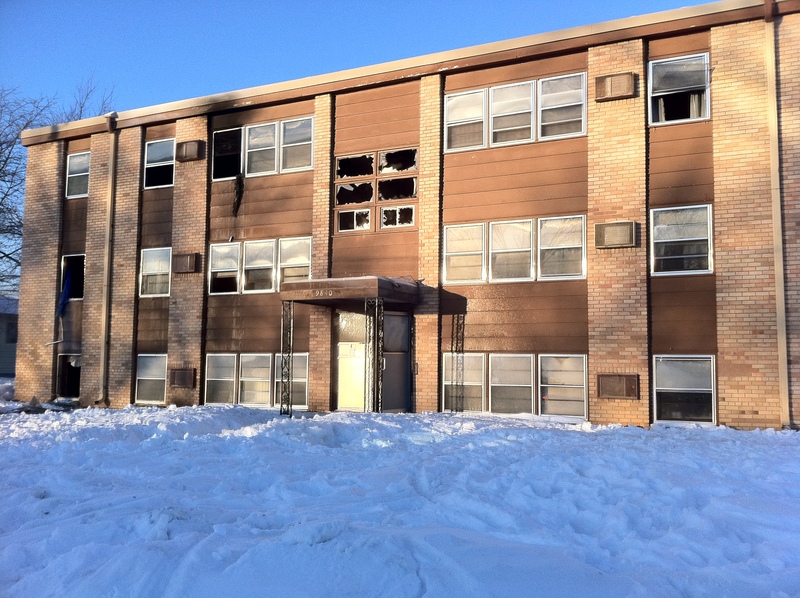 When fire broke out on an early morning in Bloomington, Minnesota, a family of four found the only way to escape to safety was to break the second floor window, drop the oldest child out the window and then have her catch her two younger siblings. She caught one by the leg and the other around waist. Not only is everything she owned now gone, she is also experiencing emotional reactions from an event no school aged girl should ever have to go through. The American Red Cross Disaster Stress Team steps in to help victims like this young girl work through the emotions from a traumatic life event. Cay Shea Hellervik, a member of the disaster response stress team, is one of many volunteers at the Bloomington shelter helping the residents from the apartment fire get back on their feet. As important as finding clothes, shelter and food after a tragic event so is dealing with the event its self and all the emotions that come with a major life tragedy. Cay says it is important to have someone around who wants to listen. “It is important to talk through what they just experienced when it is still vivid,” says Cay. When she first arrives at a shelter, Cay checks with the manager and other volunteers to get a general feel for who may need to talk to the stress team. “I make sure I touch base with everyone, asking how they are doing, how they are feeling and get them to talk through the event, ” says Cay. For many, a step in the healing process is getting back in their routine. One young girl in the shelter was concerned about missing school, the problem; she only had the pajamas full of soot from the fire. Cay realized returning to her regular schedule was important for the young girl. Cay and the pastor from the church where fire victims are staying found clothes the church had on hand. A phone call was made to the school district and with in 15 minutes the young girl was dressed and ready for the yellow school bus that arrived at the shelter. Cay noticed a tear run down the girls face as she stepped on the bus as she return to her “normal” schedule. 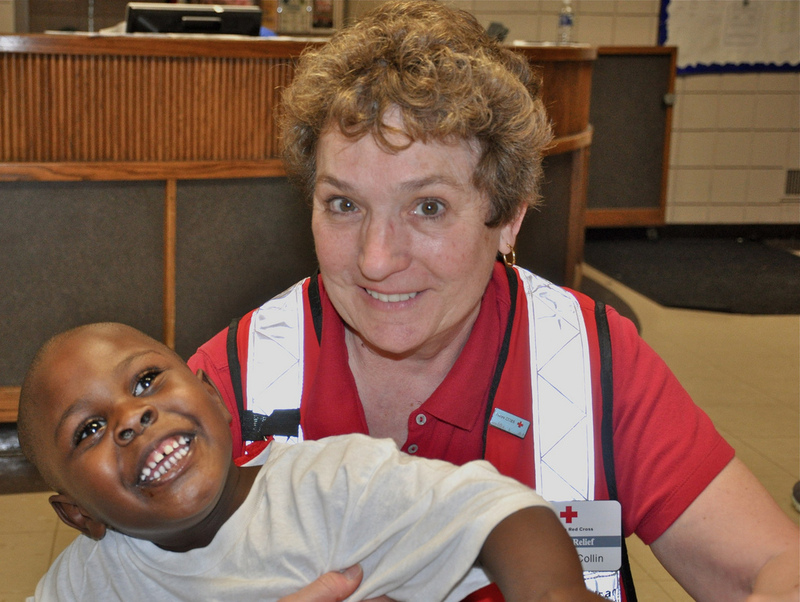 Along with her professional background in psychology, Cay credits the training the Red Cross provides. 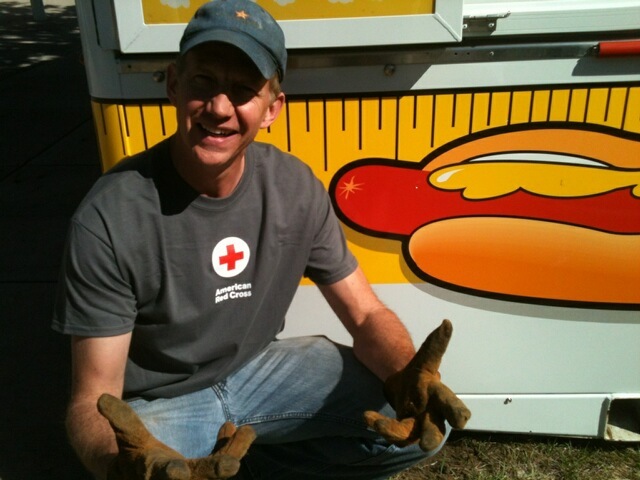 “Red Cross training is so important and prepares you so well for events like this,” says Cay. For more information about volunteer opportunities, please visit redcrosstc.org.